Do you have problem in finance, business/job or marriage? it might be due to weak Jupiter. Weak Jupiter in your horoscope can create lots of problem, here is description of impact of weak Jupiter in your life and Astro Upay. Job: Jupiter relates with finance, law and consultancy. Jupiter balances the income-expenditure of job. Shani provides job however, stability and development relates with Jupiter. If Jupiter is weak in horoscope then one get low salary job or he might changes his job frequently. In this case, you should offer water in the root of banana tree. Donate horse gram and banana on Thursday. Do this remedy for 9 Thursdays. Marriage: Jupiter decides every girl’s marriage and marital life. Jupiter shows the nature and character of man’s wife. It is very difficult to get marry if the Jupiter relates with seventh house. If Jupiter is weak then it creates problem in women’s marital life. If Jupiter is weak in men’s horoscope then he get wife who dominate him every time. In this case, women should do fast for 11 Thursdays. Chant Vishnusashstraname in the morning. Men should wear gold ring in index finger and offer water to the lord Shiva on every Thursday. 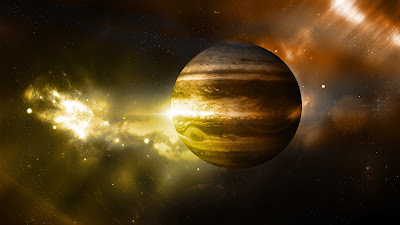 Finance: Jupiter decides earning of money and financial stability. One cannot face shortage of money if Jupiter is strong. However, if Jupiter is weak then you get money but you always face shortage of money. Sometimes, Jupiter gives poverty. In this case, you should put saffron in bathing water. Mix turmeric in water and dedicate it to the lord Sun. Take gold or brass square piece and tie up it in yellow thread and wear it in your throat on Thursday. Others: Jupiter gives cancer, AIDS and hepatitis. Jupiter also gives character flaw and social defamation. In this case, you should wear five faces Rudraksha necklace. Chant Gayatri mantra 108 times every morning-evening. You should take blessings of your elders. You should eat yellow stuff in your diet. Remedy: You should mix little bit turmeric in bathing water. It increases your splendor.